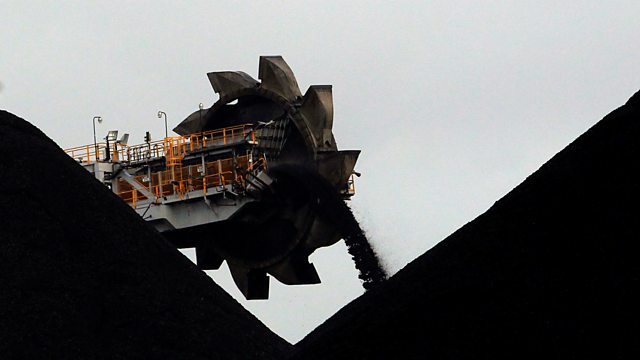 BBC World Service - Business Matters, Is China blocking Australian coal? Is China blocking Australian coal? A number of harbours in northern China, including Dalian, are said to be refusing Australian coal altogether. What could it mean for one of Australia's most lucrative exports? Also in the programme, can you profit from being attacked? Police in Chicago say the actor Jussie Smollett filed a fake claim he suffered a homophobic attack because he was 'dissatisfied with his salary'. We hear from Britain's largest airport Heathrow, where stockpiling is underway in case of a no-deal Brexit. Should we pay closer attention to our data? We talk zombie stats and how they can get repeated again and again until they end up influencing government policy. Plus, our reporter checks out some of the technology that could help reduce the financial burden of healthcare for an ageing population. And we hear from one Australian state that's allowing residents to personalise their numberplates with emojis. Ed Butler is joined throughout the programme by Professor Peter Morici, an economist at the University of Maryland and Dr Stephanie Hare, an independent researcher, in London.